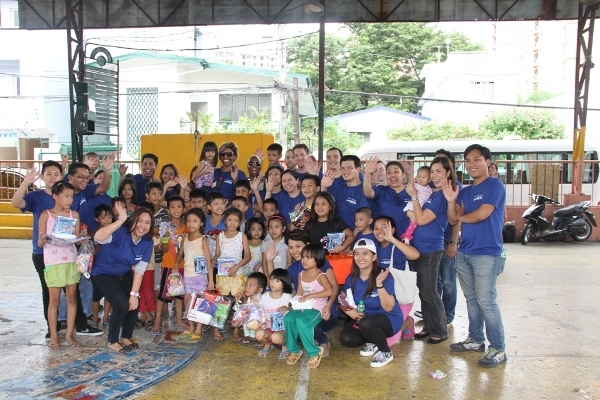 It’s smiles and sunshine once again for the kids of Brgy. 828 Zone. 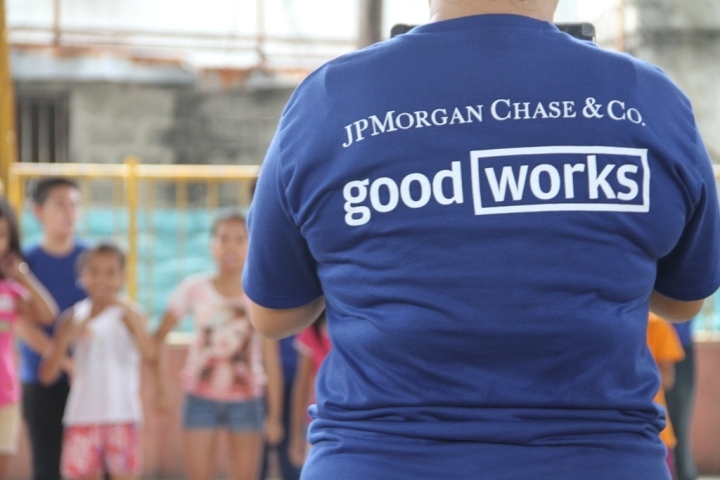 89 Estrero de Concordia, thanks to the ABS-CBN Lingkod Kapamilya Foundation Inc. (ALKFI) and with the collaboration of JP Morgan Chase & Co. volunteers. The volunteers carry their partner kids over a folded newspaper in order to win. A pair of JPMCC Volunteers cheer their partner kid for the Calamansi Relay Race. JPMCC Volunteers distribute both food-packs and toys to the children. The program was conducted for over 30 children of the said barangay. Brgy. 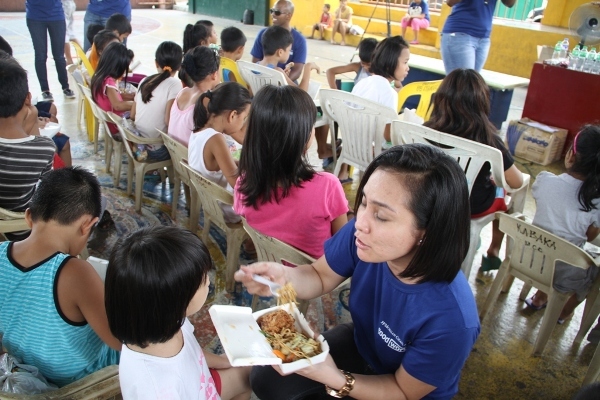 Chairman Strauss V. Tugnao helped set and initiate the event “…mga bata stay put lang kayo, hindi lang kayo mag-eenjoy mamaya kundi mabubusog at may dagdag kaalaman pa kayong makukuha”. 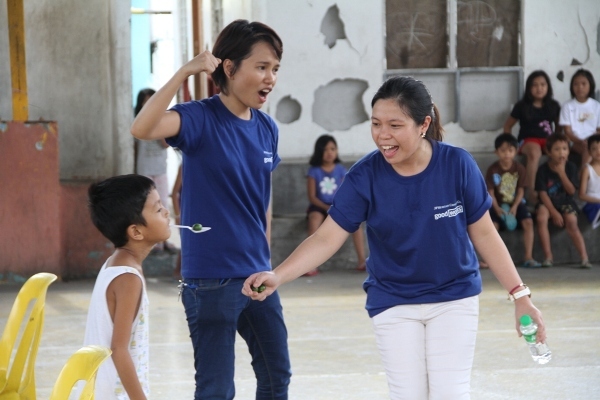 Starting from fun and thrilling games like the Cheering competition to Trip to Jerusalem, the JPMCC volunteers under the guidance of their leader Marj Baptista, formed three teams with the kids. The winning group of every activity was given prizes. At the end, everyone was still able to go home with both their head and bellies filled because of the feeding program. Each of the kids was again given a toy of their own choosing along with school supplies. 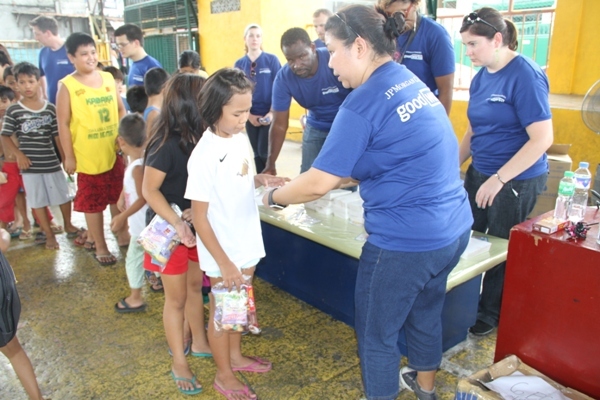 A JPMCC volunteer helps feed a child from a food-pack. 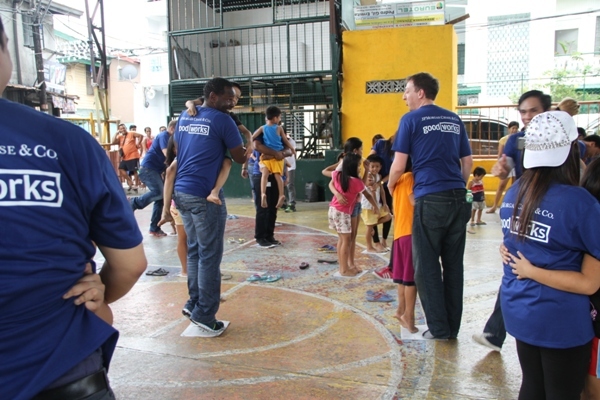 A photo of JPMorgan Chase & Co. volunteers and the children of Brgy. 828 Estero de Concordia. “ALKFI has been in partnership with JPMCC for more than a year, doing community outreach and creating social welfare. Our relationship with JPMCC has grown even better and resilient on every program.” stated Ms. Wilma de Lara, Senior Marketing officer of the ALKFI.